This is our bulk pack of succulents. 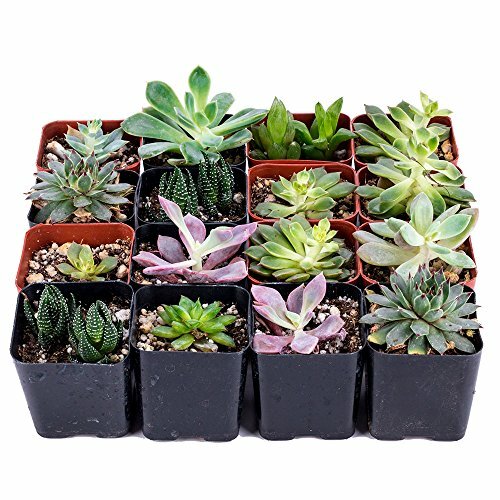 Each pack comes with an assortment of 16 succulents. They are ready for planting, just remove the succulent form its 2 inch growing pot, and it can be transplanted into just about anything. Each succulent is in its own 2 inch grow pot containing soil and is fully rooted. Succulents may vary from images due to seasonal growing habits. Some plants will be larger or smaller than other plants based on their families. We hand pick each order and pack all succulents with care so that you get the best quality plants. Succulents are drought tolerant. They need only a little water to grow and be healthy. All orders are shipped with a gift card, envelope, and care instructions. If you have any questions about this product by DecoBlooms, contact us by completing and submitting the form below. If you are looking for a specif part number, please include it with your message.